The eCommerce framework we use is among the projects with the best architecture and code quality, that’s why developers love it. We apply exactly the same standards, tools and processes to our commercial works, which makes us trusted technology partner for your eCommerce business. We understand the importance of iterative approach to product development and have great experience in working with Start-Ups which want to leverage Agile techniques. Our process is very clear and transparent to the customer. Every two weeks we present you a working version of the software, gather feedback and plan the further development. We develop all our projects on GitHub platform, which is accessible to the customer during the whole course of the project. You can see every single change done in the project code base, participate in discussions and have an overview of our progress. We also have a very strong culture of Code Review, which means that every single change is reviewed by fellow developers to ensure the highest quality of code. 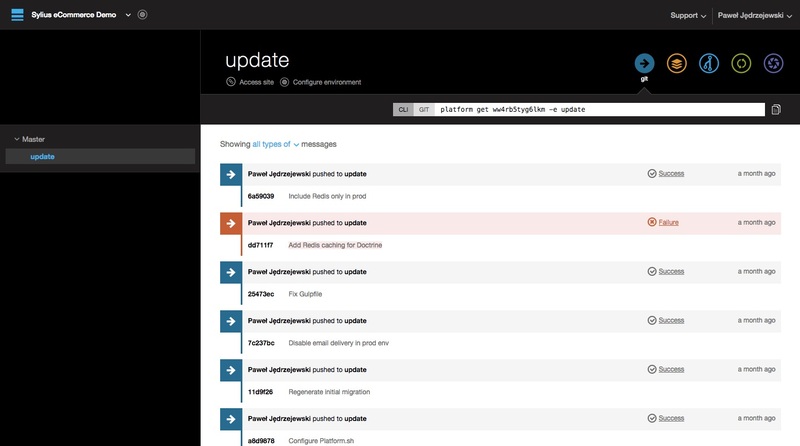 Our test suites provide feedback about all changes done in the code base in matter of minutes or even seconds. Even the smallest patch to your product is run against automated testing on our servers before it is applied to the production website. This allows us to deliver more features and improvements with less bugs, in a shorter time frame. 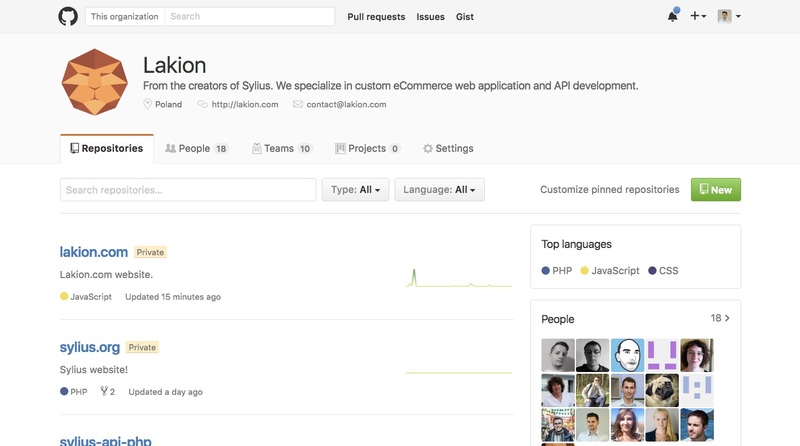 Our work is visible on GitHub, what provides excellent transparency for the customer. You can see your product being built live, report issues and see the overall progress. This is the place where our developers perform Peer-Code-Review, so that we can be sure to eliminate all the bugs before your product hits production servers. 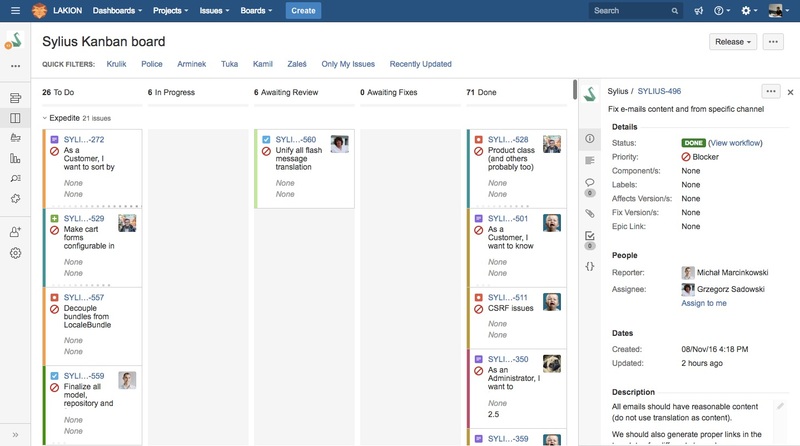 We use JIRA Agile - An online project management tool, which allows you to access our Scrum and Kanban boards. You have control over the whole process and you participate in the Product Backlog building and planning of all developments. 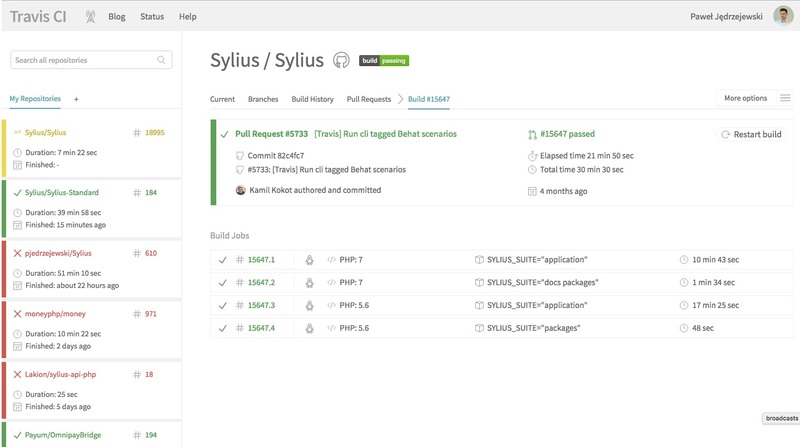 When working with Sylius repository, we have mastered the art of Continous Integration. Thousands of automated project builds make sure that all tests are passing and your product is working as expected. This allows for extremely flexible software that supports every pivot your business needs to make. Everything that we work on is deployed to test instances on Platform.sh, where additional manual Quality Assurance can be performed. You can also access an online demo of every feature to provide feedback as quickly as possible, ensuring that we deliver the best possible result at the end of current sprint. Why build your next e­Commerce with us? We are constantly polishing our unique process that combines Lean Start-up approach with Agile software development thanks to BDD and pioneer eCommerce framework.